Ebola Virus Disease(EVD) or Ebola Hemorrhagic Fever(EVF) is caused by ebola virus. It is the second deadliest disease in the world considering the fatality rate. It got its name from the Ebola River in Democratic Republic of Congo where its outbreak was first recorded. 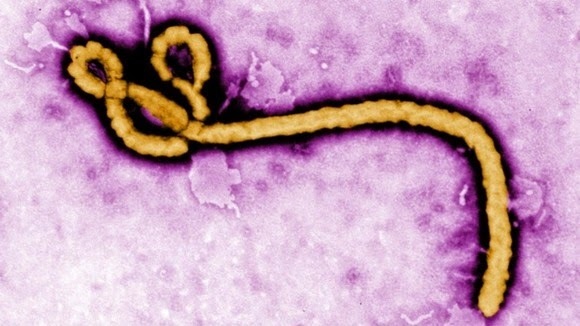 There are five known ebola virus species. The term ebolavirus generally refers to one particular virus species called Zaire ebolavirus(ZEBOV). This virus was initially found in crab eating macaque(primate). It is believed that humans are affected by this virus because of contact with the infected wild animal carcasses. It is also believed that eating bush meat(wild animals used for eating) may contributed to human outbreak. The symptoms of this disease starts with fever, sore throat, muscle pain and headache. Then vomiting, diarrhea and rashes follow. Infected people may begin bleeding both within the body and externally. The virus may be acquired upon contact with blood or bodily fluids of infected animal or humans. Also, bats can transmit the virus to other animals without getting affected by the virus. The fatality rate of this virus is up to 90%.